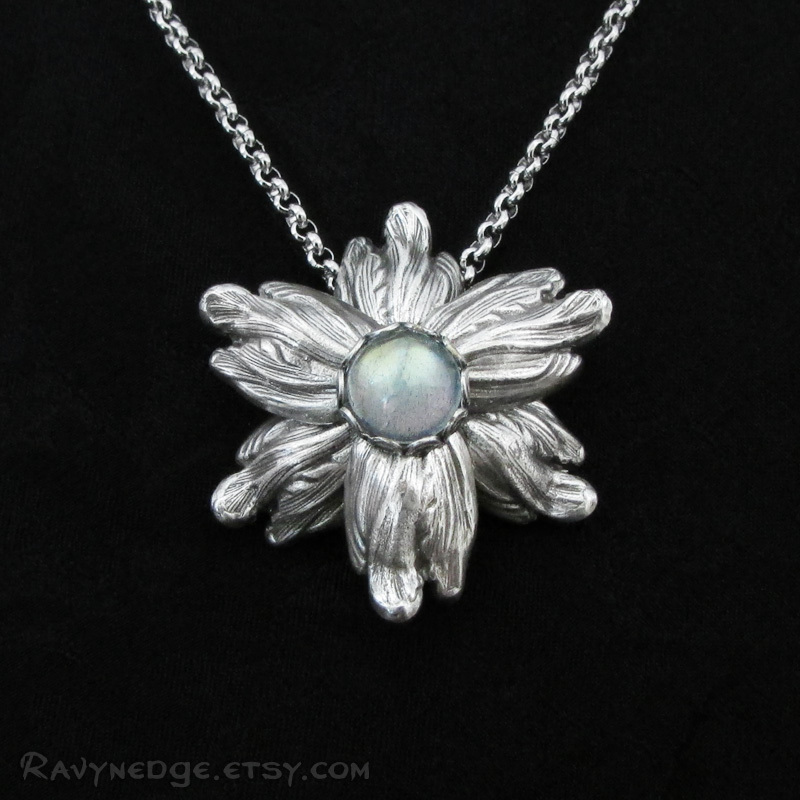 Celestial Blossom Necklace - Labradorite and Silver Star Flower Pendant by RavynEdge. 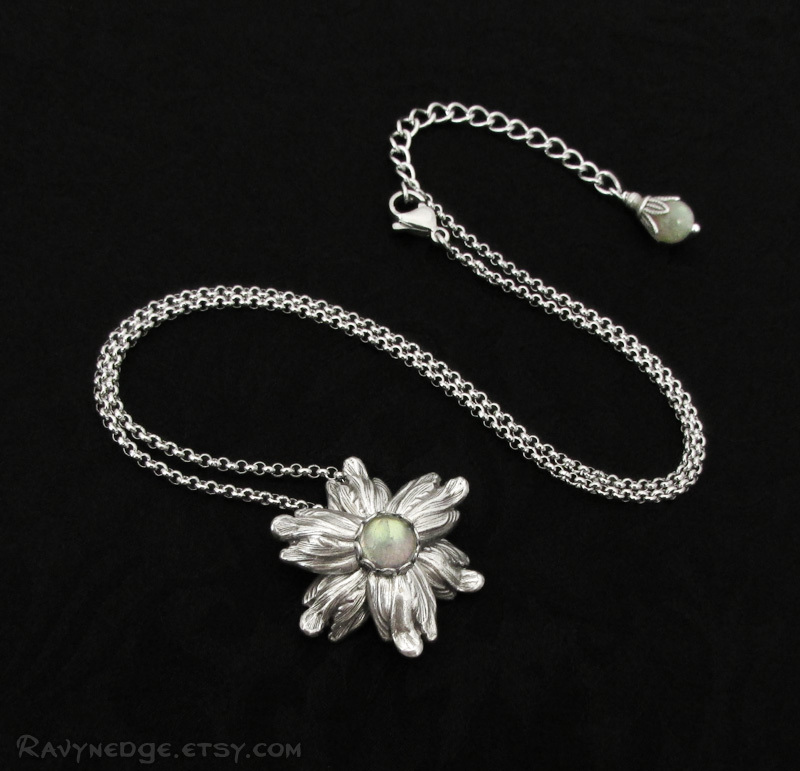 It was once believed that labradorite was the light of the Aurora Borealis still trapped in stone. 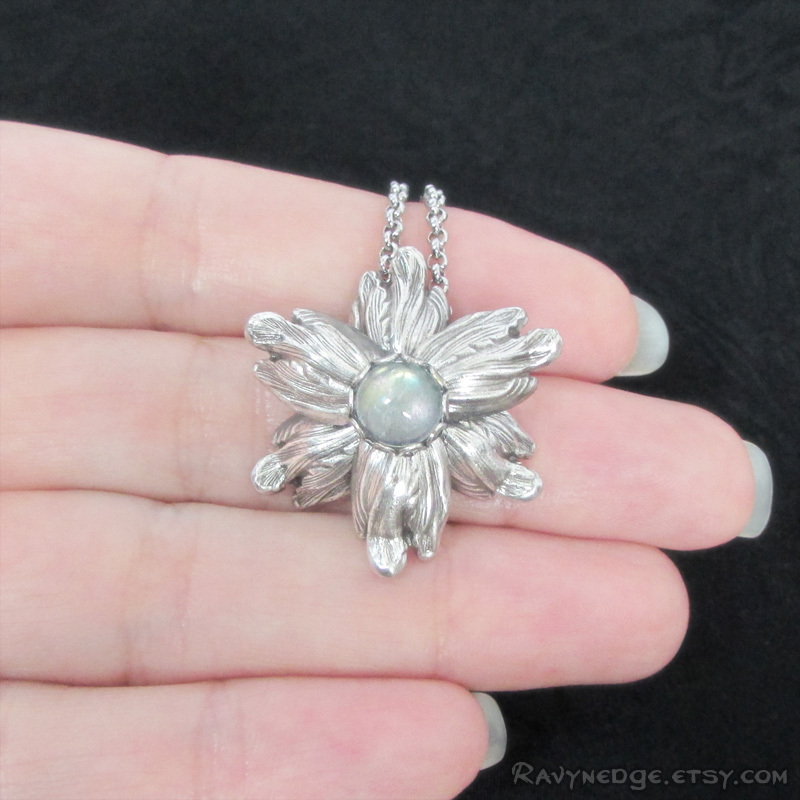 You may see the celestial sky when you gaze deeply into this luminous natural labradorite at the center of exquisitly detailed flower petals arranged in a star shape. 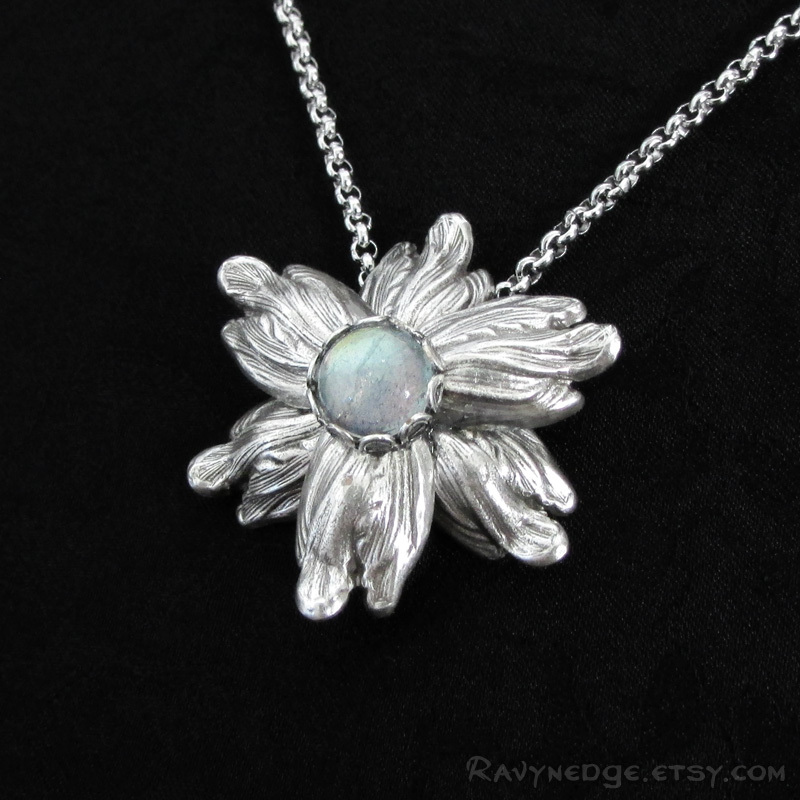 Looks great alone or layer it with other necklaces. 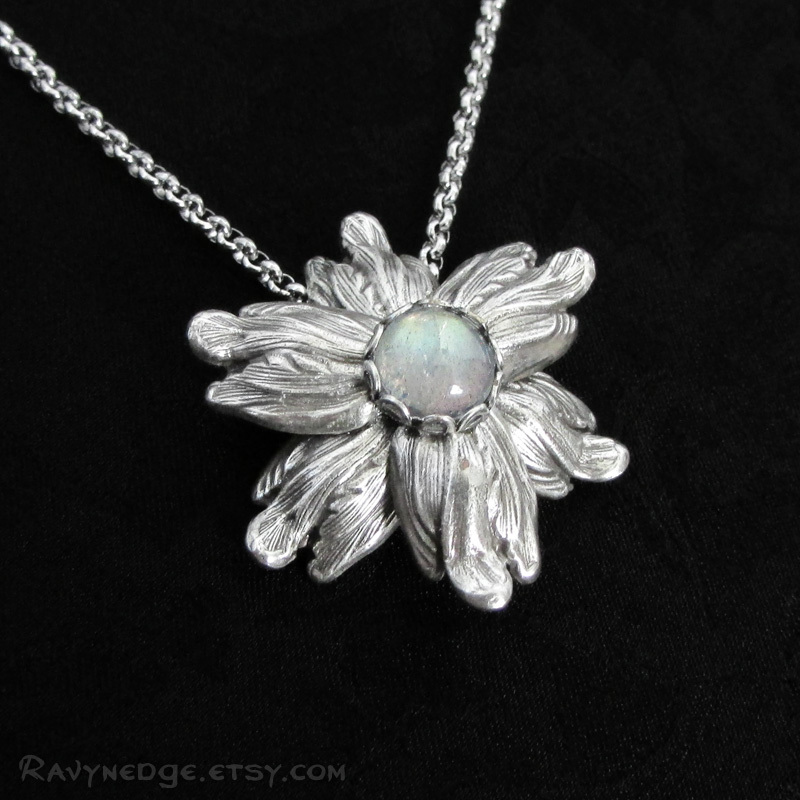 This pendant measures 1.14 inches (29mm) wide and tall. The labradorite cabochon measures approximately 7mm across the center. The stainless steel chain adjusts from 16 to 18 inches (40.6 to 45.7cm) and closes with a lobster clasp.